This is a mild, but long-term form of depression. The symptoms usually last for at least two years and often for much longer than that. Dysthymia interferes with one's ability to function and enjoy daily life. Individuals with Dysthymia are thought of as being overly critical, constantly complaining and incapable of having fun. 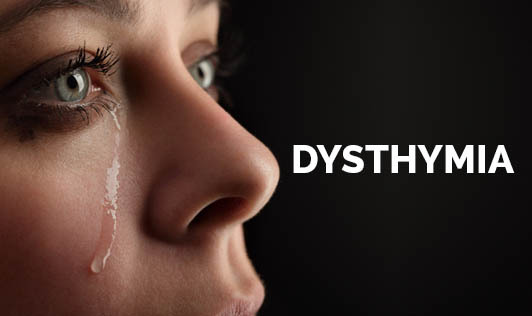 The exact cause isn't known but Dysthymia may have causes that are similar to major depression including biochemical changes, genes and environment. One should contact a doctor if symptoms last for years and interfere with relationships, work as well as daily activities. Sometimes, because these feelings have gone on for such a long time you may think they'll always be a part of your life. Hence, it's important to seek medical treat for a proper diagnosis.